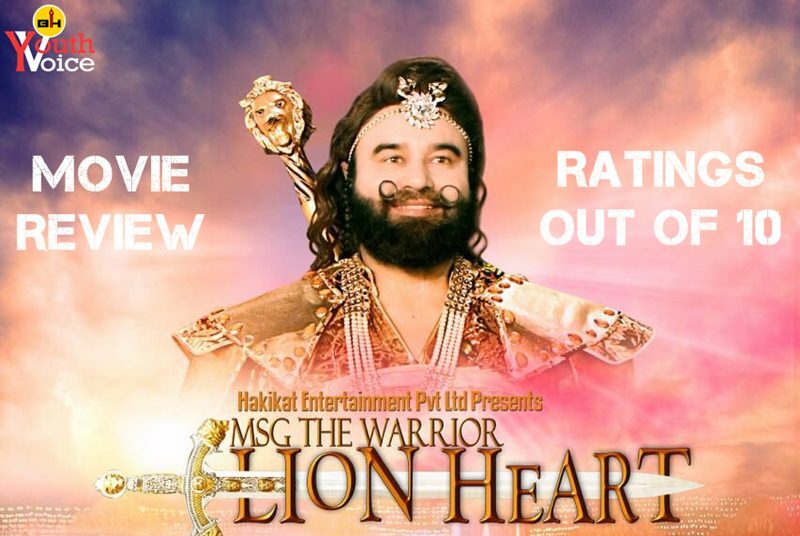 MSG The Warrior LionHeart (2016) Full movie review including synopsis, good points, bad points, ratings for story, music, direction, editing, screenplay, star performances, overall and the final verdict. MSG The Warrior LionHeart is a story of a warrior who fights for the honor of his land and the dignity of the women. The story start with Indian secret agent LionHeart fighting against terrorists, later the face huge problem of aliens from 4-5 different planets attacking them at same time. LionHeart tells them that it's not happening for the first time and shares his 300 year old experience when he fought these aliens for the first time as Sherdil. Storyline is impressive and original, Saint Ram Rahim is at his best! Interval is at perfect timing, everyone will be left wondering what will happen next. Saint Ram Rahim is playing three roles in the movie: Sherdil, LionHeart and old Guru (soul). Sherdil is an ancient Rajput warrior and a farmer having wife and kids. Lionheart is a modern Indian agent having hi tech gadgets. Movie is fully entertaining, you'll enjoy it for sure. Saint Ram Rahim looking like a real hero for the first time, he's fit and removed arm hair. Saint Ram Rahim acting very well, dialogue delivery is really great. Storyline is impressive and original. Shows our rich Indian culture. Emotional scenes are quite good. Beautiful sets in such low budget, you will love chariot, weapons and many other objects. Music is damn good, it's catchy. Great Social Messages along with entertainment. Sweetluck (Sherdil's Daughter) and Charanpreet Insan (Sherdil's Sister) performed very well. Direction was quite good knowing it's the first film of Honeypreet Insan as a director. Different voices and different looks of Ram Rahim will leave you speechless. VFX is not impressive at all, it's childish. But VFX team is new having no professional training. Actors other than the three mentioned above are not up to the mark. There are many unnecessary scenes in second half of the movie. Length of second half could have been reduced by 30min making movie even better. Worth watching one time in theater!! You will have fun watching it with friends and family. Kids will love it. Adults may be seen pointing out VFX mistakes but Kids will fully enjoy it.